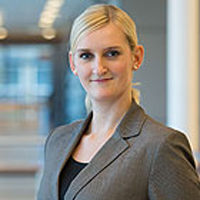 Irene arbeitet im Bachelor Student Recruitment Team der Frankfurt School. For the study start in summer 2017 we now offer the Bachelor of Science in Business Administration with focus on Marketing. Marketing is about understanding the business and the needs of customers. It requires you to think one-step ahead. In 7 semesters you will learn about all aspects of Marketing such as Brand Management, Consumer Behavior, Sales Management, Digital Marketing and Global Marketing Strategy. Take a look at our video to get the first impression of one of these topics. Marketing can be performed in a diversity of industries. During your study you will gain profound knowledge of Business Administration and Marketing at the same time. After graduation you can work in industries such as Finance, Beauty, Food, etc. With this Bachelor concentration working in all industries is possible! Apply now to join us for this great concentration.